There is great excitement at Tamaya now that the highly anticipated Residents Club has opened. The centerpiece of the community, the Residents Club is bringing Tamaya’s families together to meet and enjoy the community’s lifestyle. Activities are held at the Tamaya Residents Club, making it possible for residents and neighbors to be a part of events and meet new friends. Tamaya offers activities to appeal to all ages including movie nights, community happy hours and Food Truck Fridays. Located inside the main gates of the community, the 10,000 square foot Residents Club is stunningly luxurious and has been designed as a welcoming hub for entertainment and gatherings as well as a place for fitness, wellness and relaxation. It features several social spaces including a spacious Grand Salon with catering kitchen, a clubroom, a covered porch and an outdoor patio. The clubhouse’s fully equipped state-of-the-art fitness center has nearly 5,000-square-feet of fitness space including an expansive cardio room and a separate yoga and pilates studio overlooking a garden and fountain area. Residents have come out in numbers to swim or relax by the Residents Club’s two pools and cabana. 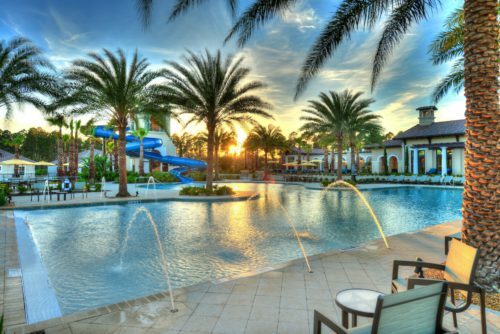 One pool is a zero-entry family pool and the other has lap-lanes for swim workouts. The step-down pool area features a tower slide and plenty of seating. An outdoor palm court lounge provides a relaxing setting near the pool and spa garden. The outdoor recreation areas also include tennis courts and an event lawn. With beautiful surroundings, luxurious homes and resort-style amenities, Tamaya offers a highly desirable lifestyle. ICI Homes’ new model row features six new furnished and decorated model homes that showcase Tamaya’s architecture and design style. Through May 31, everyone is invited to visit the community, tour the new models and vote in the Tamaya People’s Choice Awards. Visitors are invited to rate the homes floor plan and décor selections. Everyone who submits a fully complete ballot will be entered into a drawing for a $500 gift card. 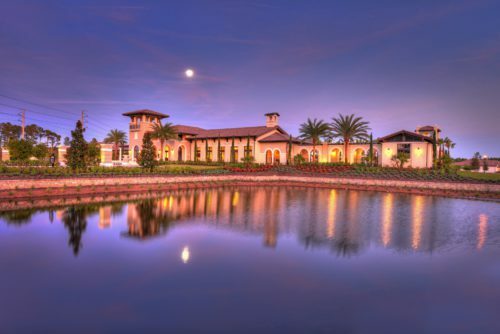 At Tamaya, ICI Homes offers a selection of distinctive, flexible and customizable home designs showcasing Tuscan, Mediterranean and Spanish architectural influences and spectacular outdoor living spaces. Customizing a floor plan to uniquely suit the homebuyer is part of the culture at ICI Homes. Tamaya’s Bella Nika neighborhood has 50-foot-wide, 60-foot-wide, 75-foot-wide and 85-foot-wide home sites. Homes at Tamaya range in size from 1,800-square-feet to 6,000-square-feet and range in price from the $300,000s to $800,000s. Tamaya is located off Beach Boulevard, midway between Kernan and Hodges Boulevards in Jacksonville. Tamaya is just six miles to the beach and within minutes to Mayo Clinic Jacksonville. For more information, call (855) 279-6053 or visit www.TamayaFL.com.